I may have found a way to import "forbidden engines"
I was reading up on Vlad's infamous half-decent E30 M3 Touring with altered VIN plates on jalopnik when I saw the original importer's notes. It came into canada as a 1988 model car. Under Canadian law, 15 years is the rule for importing cars that aren't federalized for Canadian markets. 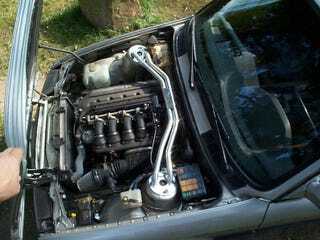 But the thing was, there was a e36 M3 S50B30 under the hood. It was swapped before the journey from Germany. So technically, under this grey zone, I can import a 25 year old Y31 Nissan Gloria with a RB26DETT. It's still decently illegal as the engine was altered from the beginning.